NEW YORK -- Writer-comic Larry Wilmore of "The Daily Show" has earned Stephen Colbert's coveted Comedy Central timeslot following Jon Stewart each night. Comedy Central said Friday that Wilmore will host "The Minority Report" at 11:30 each weeknight, starting in January. Wilmore, who's black, will add a different perspective to a late-night landscape dominated by white men. The network said "The Minority Report" will provide a platform for "underrepresented voices in comedy and media." It was created and will be produced by Stewart, who will continue to host "The Daily Show." Colbert, a fellow "Daily Show" alumnus who was rewarded with his own show a decade ago, is wrapping "The Colbert Report" at the end of this year and will take over for David Letterman at CBS' "Late Show" next year. Comedy Central president Michele Ganeless said network officials were "thrilled to be expanding our relationship with Jon Stewart and Busboy Productions and are looking forward to the world getting to know Larry Wilmore even better." Wilmore will move from his Los Angeles base to New York to tape his new series. "I'm beyond excited to have this chance to continue my relationships with Comedy Central and the brilliant Jon Stewart," he said. "I love the city of New York and promise to only wear my Laker T-shirts when I'm layering." Stewart, calling Wilmore "a brilliant comic and showrunner," joked that "this is all just a complicated ruse to get him to move to New York and turn him into a Knicks fan." 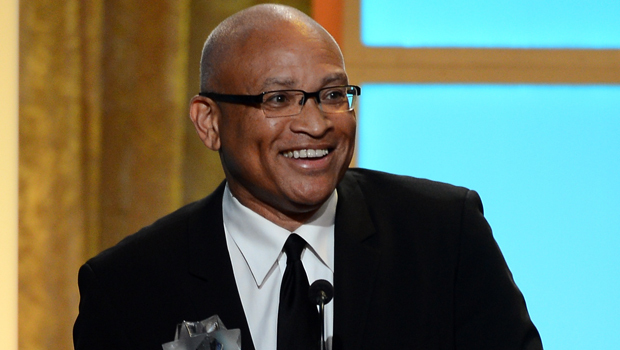 The 52-year-old Wilmore serves as Senior Black Correspondent on "The Daily Show," which he joined in 2006. Before that he had written for "In Living Color," ''The Fresh Prince of Bel-Air" and "The Jamie Foxx Show." He co-created the animated series "The PJs" with Eddie Murphy as well as the critically acclaimed "Bernie Mac Show." More recently, he served as executive producer of ABC's comedy "Black-ish," which just received a series pickup. Just who would fill the vacancy left by Colbert has spurred a guessing game in recent weeks. An obvious successor would have been John Oliver, who left "The Daily Show" for an HBO program, "Last Week Tonight," which premiered in April. A presumed candidate: "At Midnight," a comedic trivia show hosted by Chris Hardwick that has gained a following since premiering last fall. It will remain in place, following "The Minority Report." Wilmore's new show isn't the first Comedy Central venture to give a minority slant to satire. In fall 2008, the weekly "Chocolate News" was hosted by David Alan Grier, but it lasted just one season.